The iPhone 8 and 8 Plus offer of Smart targets new iPhone subscribers who wants easy and light payment scheme who doesn’t want to shell out a big one-time cash-out. Subscribers only need to spend a minimal initial monthly service fee of P2,699 (Plan 1999 + 700 for the device) for the iPhone 8 and P2,999 (Plan 1999 + 1,000 for the device). The Smart iPhone Plans are for value seekers who wants to experience the new iPhone without breaking the bank. 1. Charge to bill. It’s easier to apply with Smart postpaid because you can charge the total plan inclusive of the device cost to your monthly bill. Payment of the Smart iPhone 8 and 8 Plus devices for plans 1499, 1999, 2499 and 2999 can be paid in easy 24 monthly payments versus a big one-time cash-out through the monthly postpaid bill. No need for a credit card. On the other hand, the competitor does not offer charge-to-bill and requires a big one-time device cash-out so you need to be ready with a Php 20,999 cash or through a credit card payment. 4. Powered by fastest LTE. The new iPhone is best experienced with Open Signal’s fastest LTE Network. Smart continues to cover the country with LTE connectivity plus built-in all-net calls across all plans. 5. Gadget shield. Smart gives a one-month gadget shield for free against accidental damage or theft. Smart’s front liners will register you upon availment of the iPhone 8 plans. 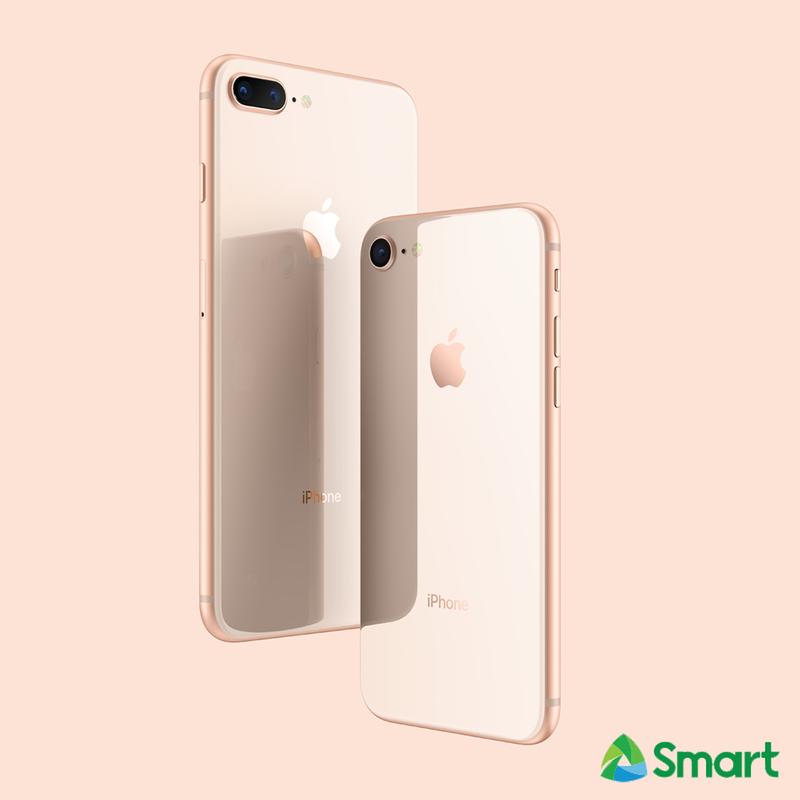 You can now pre-order the iPhone 8 and iPhone 8 Plus at the Smart Online Store (store.smart.com.ph) and Smart Stores nationwide, and both will be available in stores on Friday, November 17. Get to know more how Smart’s iPhone 8 offers, visit smart.com.ph/iPhone8.